The U.S Fish and Wildlife Service (Service) announced Tuesday that they are re-opening the comment period for the Proposed Rule to list the North American wolverine as threatened. 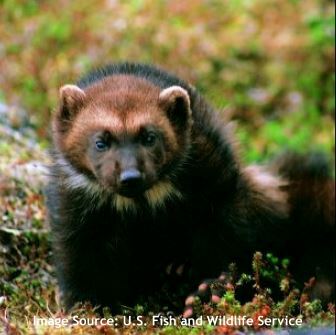 This announcement comes after the District Court for the District of Montana vacated the Service’s withdrawal of their proposed rule to list the distinct population segment of wolverine (Gulo gulo luscus). The North American wolverine is known to inhabit areas of California, Colorado, Idaho, Montana, Nevada, New Mexico, Oregon, Utah, Washington, and Wyoming. The Comment Period is open until November 17, 2016. 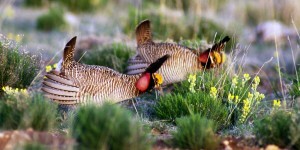 The US Fish and Wildlife Service has officially removed the Lesser Prairie-Chicken from the Federal List of Endangered and Threatened Wildlife. This decision comes after years of data evaluation regarding this species which is found in Kansas, Colorado, Oklahoma, Texas, and New Mexico. On November 9, 2015, the Western Association of Fish and Wildlife Agencies (WAFWA) re-opened the Range-wide Oil and Gas Candidate Conservation Agreement with Assurances (CCAA) with approval from the U.S. Fish and Wildlife Service (USFWS). This re-opening follows the September 1, 2015 decision of the U.S. District Court to vacate the listing of the lesser prairie-chicken (LPC) as threatened under the Endangered Species Act (ESA). The CCAA is now open for new enrollments of oil and gas leases, pipelines, and transfers of properties from the WAFWA Conservation Agreement (WCA) to the CCAA. WAFWA has stated that participation in the CCAA will “result in conservation to support the vacatur and evidence to refute future appeals and listing proposals.” It is uncertain how long the CCAA will be open for new enrollments. The legal assurances provided to participants of the WCA were derived from Section 4(d) of the ESA and are only applicable to species listed as threatened under the ESA. The CCAA’s legal assurances are based on an ESA Section 10 permit and remain applicable whether a species is listed under the ESA as threatened or endangered. The USFWS filed a motion on September 29, 2015, for reconsideration of the Federal Judge’s decision with oral arguments scheduled for November 12, 2015. If you have questions regarding the decision or how any state- or federally-listed species may affect your project, please contact aci consulting’s WAFWA-approved LPC Technical Service providers at our Austin office. After failing to repeal the new Clean Water Rule on Tuesday, the Senate voted (53-44) to overturn the Rule on Wednesday under the Congressional Review Act. The White House has indicated legislation blocking the Rule will likely be vetoed. On May 27, 2015, the Environmental Protection Agency (EPA) and the U.S. Army Corps of Engineers (USACE) published the Clean Water Rule: Definition of ‘‘Waters of the United States;’’ further defining the scope of waters protected under the Clean Water Act (CWA). Numerous lawsuits were brought challenging the controversial Rule by states, business, agricultural, and development groups; and on October 9, 2015, the U.S. Court of Appeals for the Sixth Circuit temporarily suspended the Rule pending judicial review. A copy of the published rule can be found here. If you have questions regarding the new Rule or how it may affect a current or proposed project, please contact aci consulting’s Austin office. On October 14, 2015, the U.S. Army Corps of Engineers (USACE) issued a public notice announcing the availability of an updated version of the Texas Rapid Assessment Method (TXRAM). TXRAM was developed as a tool to evaluate the integrity and health of wetlands and streams. Since its initial publication in 2011, TXRAM is used within the USACE Fort Worth District to calculate impacts to jurisdictional waters and corresponding mitigation, and as a monitoring tool. A copy of TXRAM 2.0 can be found here. A copy of the public notice can be found here. If you have questions regarding TXRAM or its applicability to a project, please contact aci consulting’s Austin office at (512) 347-9000. On September 1, 2015, the U.S. District Court: Western District of Texas: Midland-Odessa Division vacated the U.S. Fish and Wildlife Service’s (USFWS) Final Rule listing the lesser prairie-chicken (Tympanuchus pallidicinctus; LPC) as a threatened species under the Endangered Species Act (ESA). Senior United States District Judge Robert Junell granted summary judgement to the plaintiffs (Permian Basin Petroleum Association; Chaves County, New Mexico (NM); Roosevelt County, NM; Eddy County, NM; and Lea County, NM) that the, “[US]FWS failed to properly apply [Policy for Evaluation of Conservation Efforts When Making Listing Decisions] PECE to its evaluation of the [Range-wide Plan] RWP resulting in material error. This caused [US]FWS to arbitrarily and capriciously list the LPC as a threatened species.” A copy of the Order Granting Plaintiff’s Motion for Summary Judgement can be found here. If you have questions regarding the decision or how any state- or federally-listed species may affect your project, please contact aci consulting’s Austin office. A North Dakota federal judge issued a preliminary injunction blocking the Environmental Protection Agency’s (EPA’s) new Clean Water Rule from taking effect. 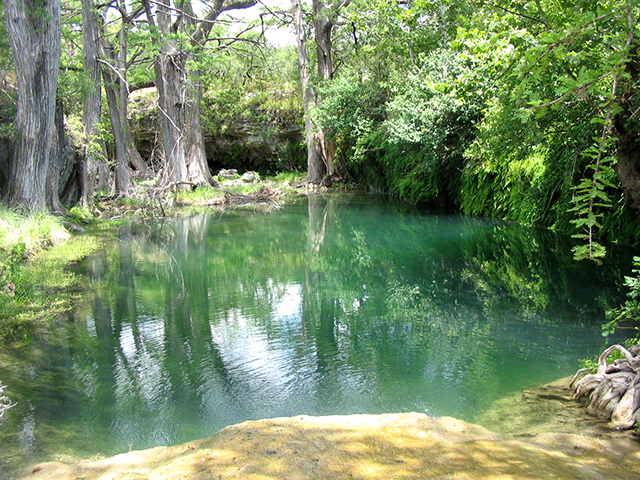 The new rule, which further defines the scope of waters protected under the Clean Water Act (CWA), was to take effect today, August 28, 2015. The injunction is based on lawsuits brought by 13 states arguing the rule will diminish the states’ authority over waters. In all, 29 states, along with various other groups have filed suits to block the rule. The EPA issued a statement shortly after the ruling declaring the new Clean Water Rule to be effective in all states but the 13 that filed for the injunction: Alaska, Arizona, Arkansas, Colorado, Idaho, Missouri, Montana, Nebraska, Nevada, New Mexico, North Dakota, South Dakota and Wyoming. 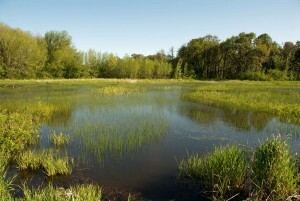 On May 27, 2015, the Environmental Protection Agency (EPA) and the U.S. Army Corps of Engineers (USACE) published the Clean Water Rule: Definition of ‘‘Waters of the United States.’’ This rule further defines the scope of waters protected under the Clean Water Act (CWA), such as adjacent waters, waters considered to have a significant nexus to jurisdictional waters, and otherwise isolated waters that occur within a floodplain. This rule goes into effect on Friday, August 28, 2015. A copy of the published rule can be found here. In February 2015, the City of Georgetown approved clarified Water Quality Regulations for the Edwards Aquifer Recharge Zone with the further intent of regional protection of the recently-listed Georgetown salamander. 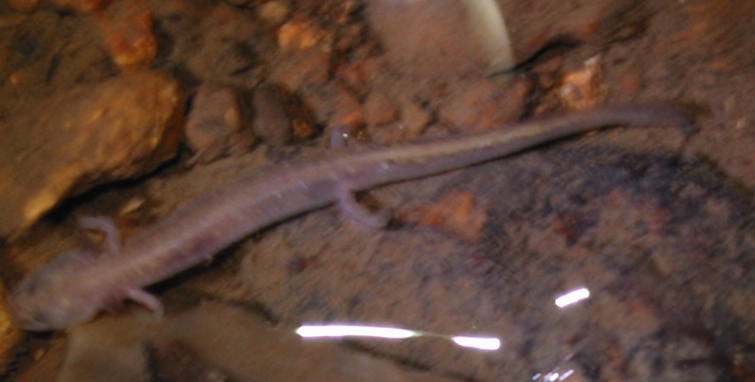 The ordinance is anticipated to be an integral component of a USFWS prepared Section 4(d) Rule related to the Georgetown salamander. The City council previously codified the water quality ordinance into the Unified Development Code in December 2014. This newest version includes an appendix to the Unified Development Code which details the federal standards for the known occupied Georgetown salamander sites within Georgetown’s city limits and ETJ. These federal standards have been included in previous versions of the water quality ordinance and define: 1) No-Disturbance Zone (Red Zone), 2) Minimal-Disturbance Zone (Orange Zone), 3) the adaptive management working group, and 4) requirement for Geologic Assessment to delineate red and orange zones. A copy of the ordinance can be found here.